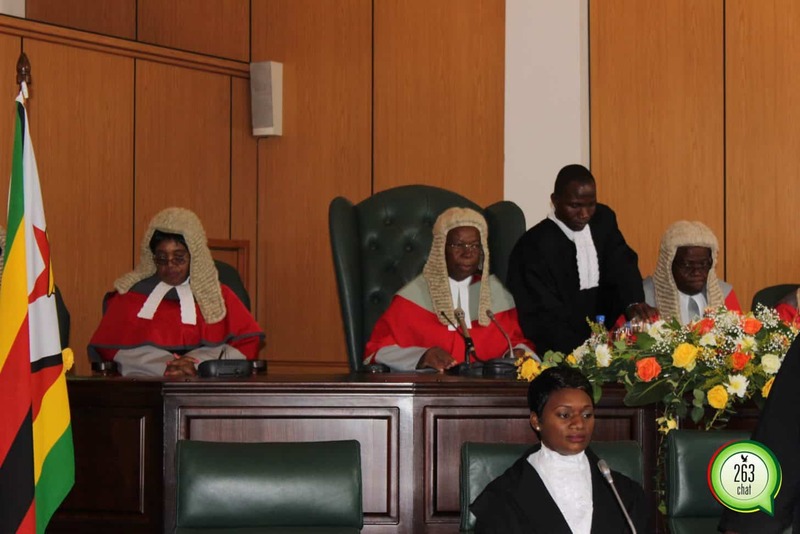 The Constitutional Court has dismissed with costs an application by the MDC Alliance to have the declaration of President Emmerson Mnangagwa as the winner of the July 30 Presidential elections set aside. In his ruling Chief Justice Luke Malaba said the applicant (MDC Alliance) had failed to provide adequate proof on their various allegations of irregularities in the management of the July 30 elections. He said the MDC Alliance failed to make use of the constitutional provisions which allows an aggrieved party to seek a recount within 48 hours after the announcement of the Presidential election results. “Armed with evidence, either from a recount where the figures are alleged to have been correct or an analysis of the sealed boxes, the applicant would have a clear and indisputable picture of the results of the elections…. However the applicant chose not to exercise this,” said Malaba. “Therefore, the application ought to be dismissed and a result the following order is made, the application is dismissed with costs, in terms of section 93(4) paragraph two of the constitution, Emmerson Dambudzo Mnangagwa is duly declared the winner of the Presidential elections held on the 30th of July 2018,” declared Malaba. MDC Alliance Secretary General, Douglas Mwonzora said they accept the constitutional Court ruling saying they have exhausted the legal route but was quick to add that they will pursue other avenues to try and their issues heard. “As far as the legal challenge is concerned, this is end of the road,” said Mwonzora. “I am satisfied and excited. All that this petition has managed to do is give us the necessary jurisprudence in our country. Nevertheless, it has delayed our celebrations but we are happy that justice has been done. “We had won the election and there was no reason for anyone to doubt President Emmerson Mnangagwa’s victory,” said Mangwana.